A landmark debut from the mighty Erykah Badu – a record that really set the world on fire when it first appeared – and which continues to blow our minds all these many years later! There's a simple, straightforward grace to the album that comes through immediately – as Erykah tries to forge new ground for soul music, but does it by taking a few steps backwards – not into retro modes, but more in a way that focuses on the core vocal, songcraft, and right instrumentation that can make a special soul record such a standout. She does a great job of both avoiding easy commercial paths, or some of the temptations to embrace other then-contemporary genres – which has made the work of some of her colleagues seem a bit dated. 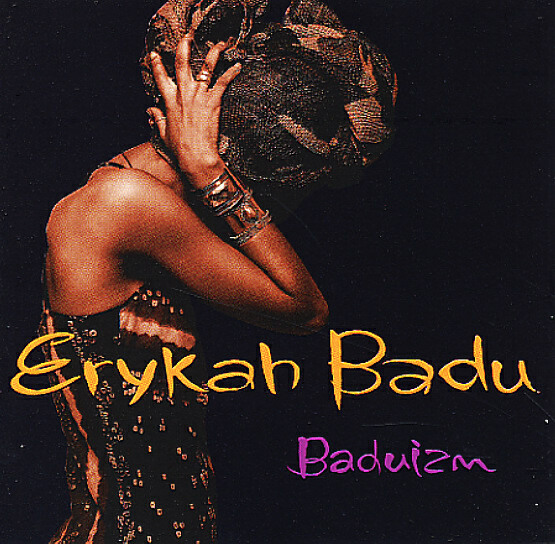 The record defines a whole new style of expression – "Baduizm", if you will – one in which Erykah sings with a depth that stretches back through a century's worth of jazz, soul, and gospel influences – but works a groove in a stripped-down and forward-thinking mode that sets the pace for countless Neo Soul singers to come! Titles include "Certainly (Flipped It)", "Next Lifetime (radio)", "On & On", "Appletree", "No Love", "4 Leaf Clover", and "Sometimes (mix #9)". © 1996-2019, Dusty Groove, Inc.